Strix Group Plc (LON:KETL) has confirmed that it expects to report FY18 results in line with market expectations. ZC forecast constant currency revenue of £96.1m, adj operating profit of £30.8m and PBT of £29.1m, in line with consensus expectations. The global kettle market continued to grow strongly at an estimated 7%. Strix states it has maintained its market share by volume at c.38%, indicating that it has also seen good underlying growth. Albeit, the mix of growth has shifted towards less regulated markets and the US and away from China. We view this positively in terms of margin outlook and potential to increase global market share. The only change to numbers today relates to lower net debt, ZC reduces its FY18 forecast from £30.8m to £28.0m, as stated in the trading update. This flows through into FY19 and FY20 estimates, however, forecasts currently assume no impact from the investment into the new factory. 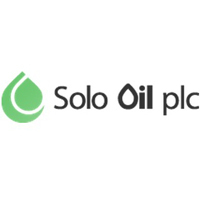 The shares trade on 9.6x FY19e earnings and yield 5.3% on the 7.7p dividend committed to by management. Another successful year: On the assumption that ZC forecasts are broadly in line, Strix will report FY18 constant currency revenue and EPS growth of c. 5% and c. 8%, respectively. The mix within the business during H2 would appear to have developed. The U9 product looks to be underpinning market share growth in less regulated markets, an improvement on the position at the half year. In China, the statement alludes to a slight softening in market share whilst the US market continues to see good growth and lack of comment regarding Turkey suggests the H2 performance was as expected. The net debt position will be c. £28.0m, leading ZC to reduce its forecast from £30.8m whilst also reducing FY19 and FY20. Since the IPO (Aug 2017) net debt has halved from c. £60.0m. New manufacturing facility: The lease on the current manufacturing facility in Guangzhou, China will expire in August 2021. An increase in rental costs combined with a need for further capacity has driven the necessity to relocate. The move remains in the very early stages, but today’s statement indicates a site has been found and is in the process of being purchased. Whilst leaving forecasts unchanged, we assess the potential impact to both cash flow and profits in the forecast period. 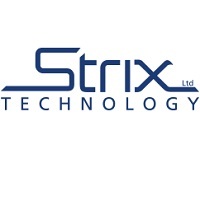 The conclusion of the analysis is that Strix is a well-capitalised and cash generative business and can accommodate c. £20.0m of investment from internal cash flow. Valuation: Strix yields over 5% on a dividend that management has committed to grow 10% to 7.7p in FY19. On earnings the shares trade on sub 10.0x against a peer group on over 15x.